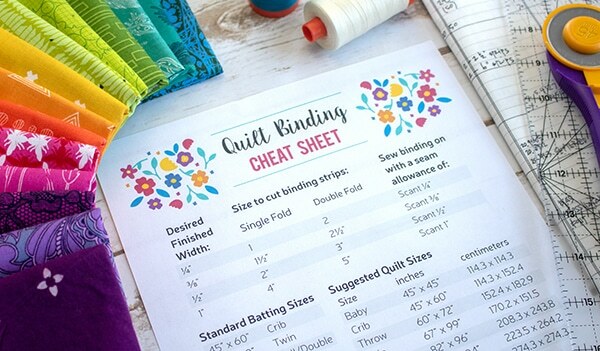 We’re back for the 4rd month of the 2018 Quilter’s Planner Block of the Month Sampler Sew Along! If April showers do bring May flowers, then let’s take advantage of the rain this month and sew! 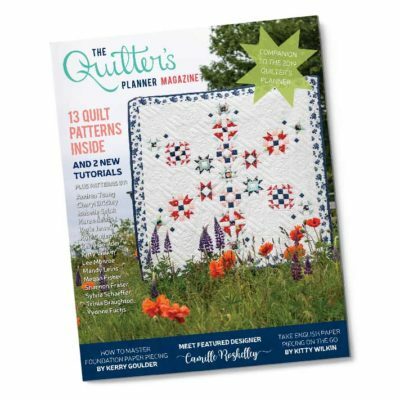 This month, we are working on Block 4 (page 30 in the 2018 Quilter’s Planner Magazine). Block 4 is a classic churn dash block. If you’d like to see an online tutorial for this block, which also appeared in the 2017 planner, click here to visit The Carpenter’s Daughter’s blog. Shelly provided us with a great blog tutorial for the Churn Dash last year (using the same measurements). 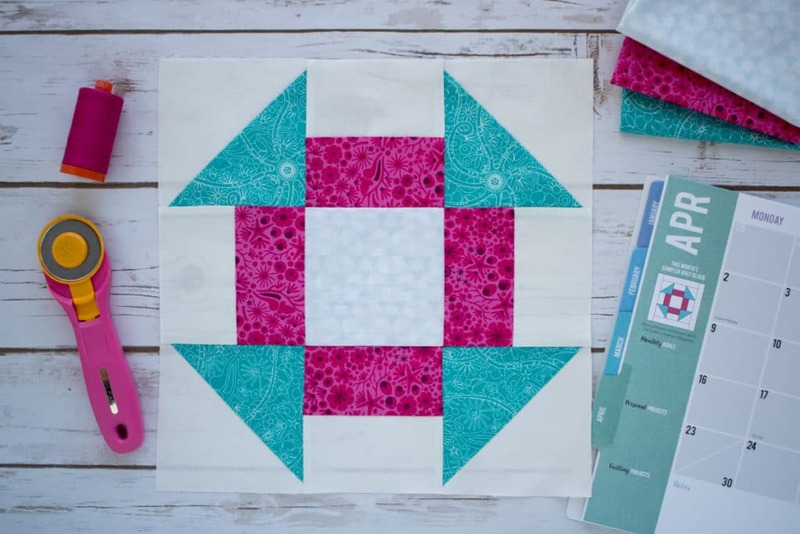 If you’re wondering what fabrics we’ve used for this beautiful block: They are all Alison Glass for Andover: Reef in Shrimp from Diving Board, Starfish in Mist from Diving Board, and Depths in Aquamarine from Sun Print 2018. 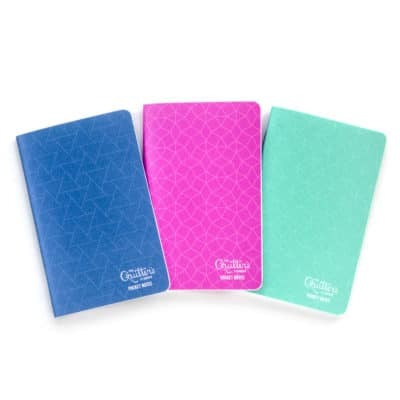 QP Insider Tip #1:Time Saver Alert! 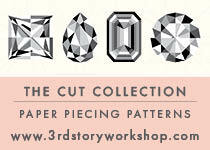 Check out the photo below: the red circle highlights the 4 subcut rectangles that are 4 1/2″ x 4 1/2″ you will end up with. 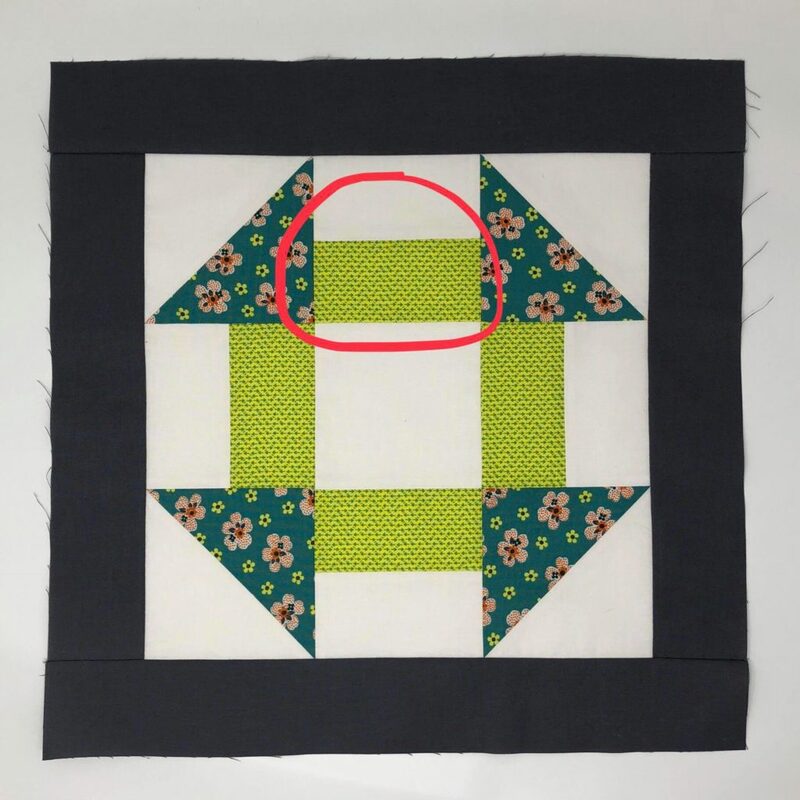 Speaking of the 4½” x 4½” rectangles that are shown in the red circle above…When you lay out your pieces in preparation for sewing the rows, don’t inadvertently flip those rectangles! Make sure those Step 2 units (the one from the previous tip) are turned so that the side with Fabric B touching the center square. Step one of making a churn dash block is to make 4 half square triangles. 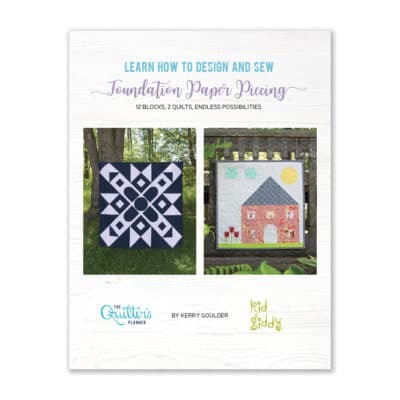 Did you know that the Reference section in your Quilter’s Planner also has information on how to make 8 Half Square Triangles at a time? 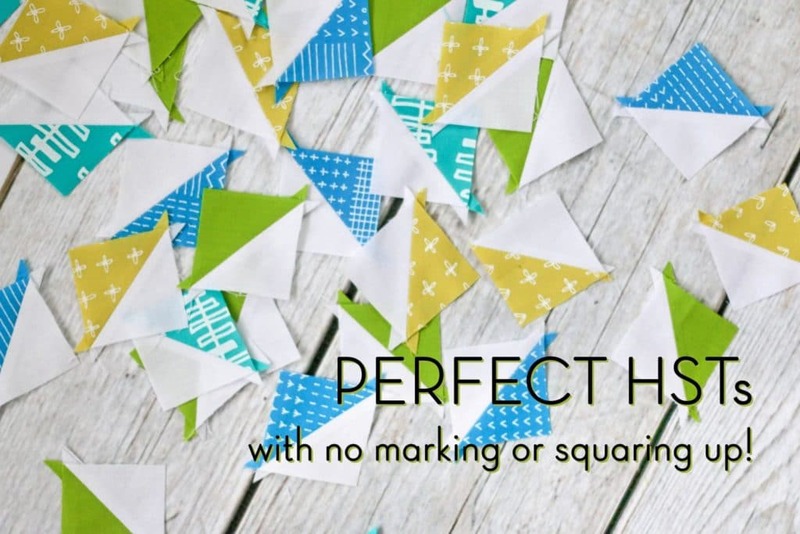 Or, if you want another time saver, check out Lee Heinrich’s awesome method for Perfect HSTs in Less Time! It’s my new favorite way to make multiple HSTs.